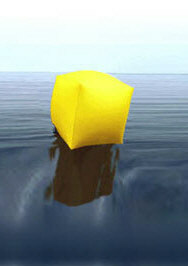 Radar reflectance depends upon many factors. 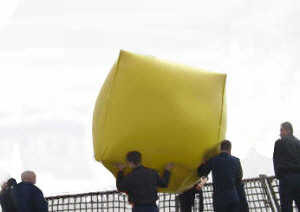 Plain balloons are for visual use only and have very little radar cross section. 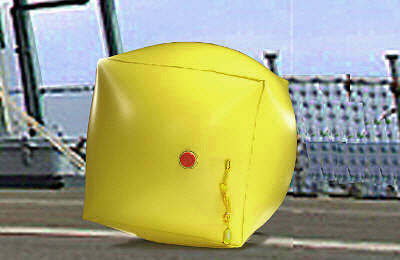 Radar enhanced balloons have special radar reflective material fastened to various locations to best reflect radar. Visible Distance is a factor of reflectance, enhancements, weather conditions and sea state. Generally Target Balloons are not visible at more than line of sight. 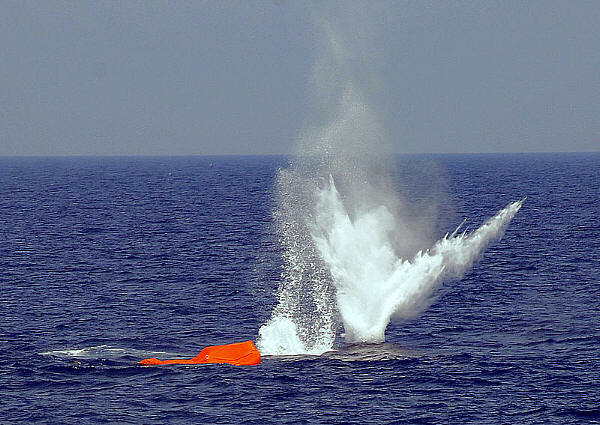 Targets are intended to be destroyed in use during active gunnery target practice. Once damaged, they are not intended to be reused, or repaired. 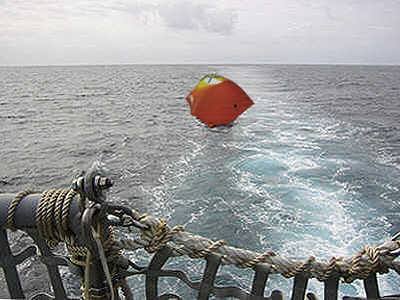 After damaged the balloon should sink. 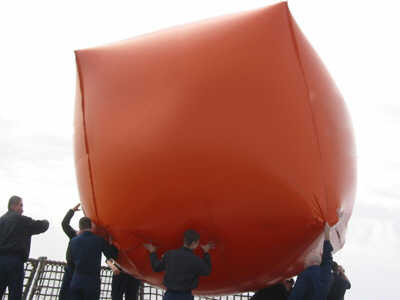 Balloon is basically a single very large cell filled with AIR, some with a skirt at the bottom which fills with water to stabilize and anchor the balloon to the surface when afloat. There is little internal structure. Balloons are not practical to be filled with any other substance, particularly not with a chemical foam which would severely complicate disposal after use. 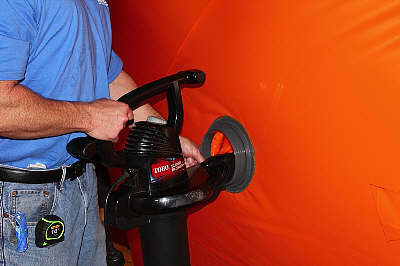 Balloons are filled using a standard "leaf blower" type of device or any HVAC, pump, or engine exhaust duct which can be channeled into the balloon. 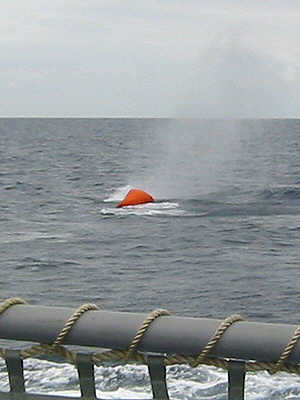 An undamaged Target Balloon may be recovered by use of a line attached. 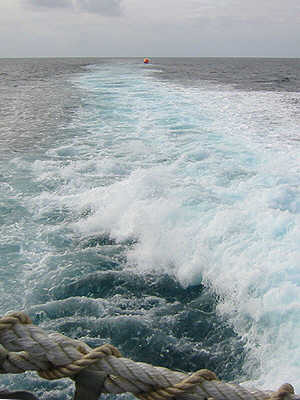 NOTICE: Spent NavTGTs on the surface are a hazard to navigation. 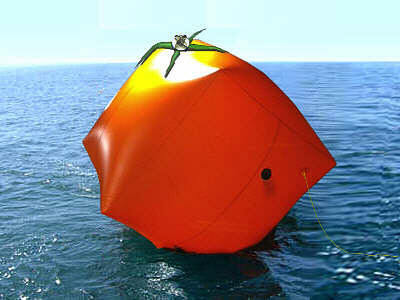 After use, any NavTGT remaining on the surface of the sea must be recovered and recycled.